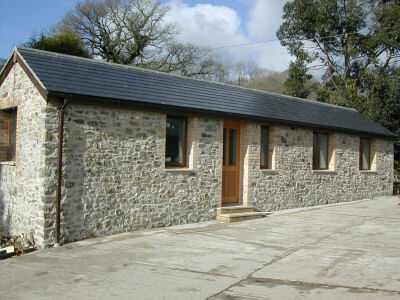 The converted barn was formally a cow stall, and was used to keep geese, turkeys, calves, puppies or any of our farm animals that had no where else to live! 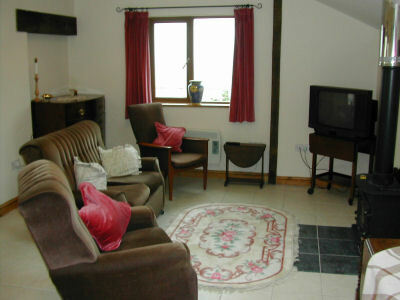 It is now a self contained unit comprising a large sitting/dining room, kitchen, shower room, two bedrooms and parking. It’s called ‘Polywagtails’ as these birds used to nest in the ivy on the roof, so we have left them a little enclosure at the eves in the hope that they will return this year! We are situated in the centre of the Blackdown Hills, which have been designated "an area of outstanding natural beauty". The Hills are a well-kept secret and span both Somerset and Devon and are a haven for wildlife. Buzzards are a common sight as are deer, and the quiet lanes and hedgerows are home to some wonderful plant life including orchids, violets, primroses and a spectacular show of bluebells in May. There are lovely walks straight from the door and good cycling if you don't mind the occasional hill! There are several places of interest in the area including Crealy Adventure Park, Pecorama at Beer, Hestercombe and Forde Abbey Gardens, garden centres and nature trails. Dartmoor and Exmoor are just an hours drive away. Taunton, Honiton, Wellington, Chard and Ilminster each a 20 minute drive, with swimming pools, antique shops, lace shops and markets. The county town of Exeter is 25 miles. The beach at Lyme Regis, Seaton or Sidmouth ½ an hours car ride. If you fancy a day closer to home, we have a pond stocked with Carp, Tench and Rudd which you are welcome to fish at no extra charge, and you can finish the day at the local inn in Churchinford village just one mile away. Bedroom: the main bedroom has a comfy double bed and the second bedroom has a single bed.